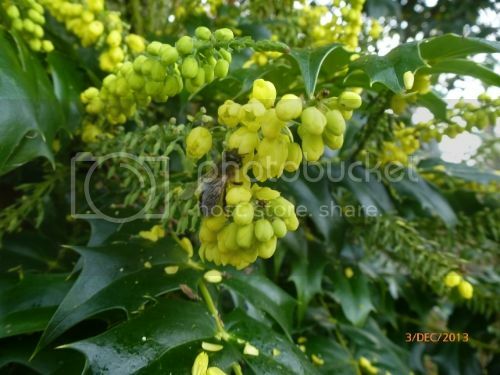 Posted: Tue Jul 01, 2014 3:38 pm Post subject: Honey bees favourite flowers. I have been watching closely the preferences of honeybees for different flowers in the garden over the last year. I would be very interested in anyone else's observations, or with help identifying plant cultivar names more specifically. Ceanothus Flowered April / May. 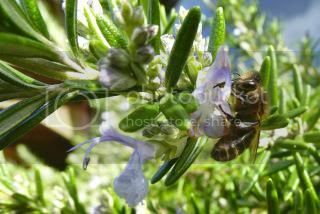 Prostrate Rosemary, flowered all winter and up until May. Well that is a few to start this thread with, to be continued! Cotoneaster horizontalis on the walls and Comfrey planted near the veggies seem very popular with the bees here. I must look more closely, as I generally hear and see a mixture of honey and bumble bees ( and other insects ) on these plants, so I'm not sure I'm answering your question.....but the noisiest plants by far are my ceanothus shrubs, my borage, rosemary and my just about to bloom lavender. The bumble bees love my foxgloves. great photos what camera lens are you using, ANd what do you want to know, do you want a list or us to identify some plants. The camera is a little back pocket camera and it can't focus if I am too close so I zoom in a little on the photos once they are on the computer. 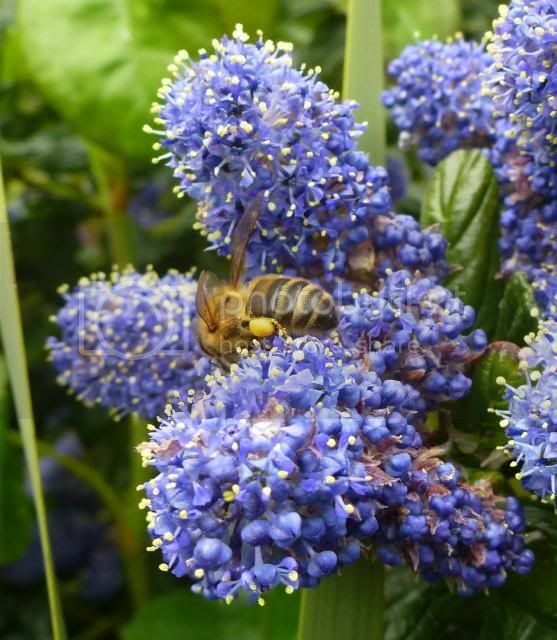 I am really interested in what the honey bees choose from all the plants on offer. 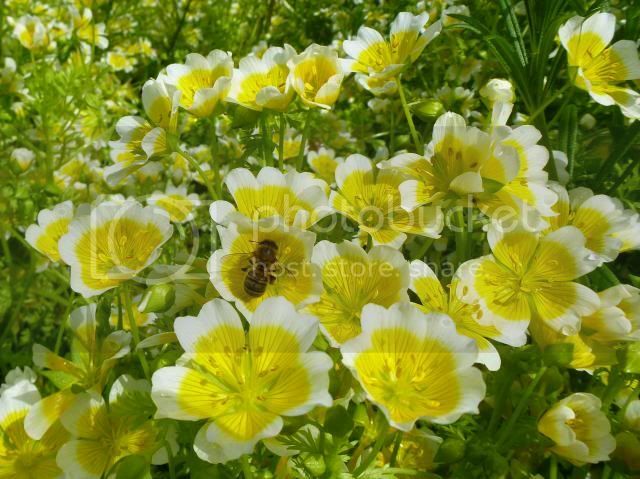 Some plants, like poached egg plant or rosemary seem to be very reliable and when in flower will almost always have bee visitors, other plants will have bees some years not others or some times in the day and not others. I am interested in cross-referencing what I find the bees like with what others find bees like and filling in gaps in my planting with things I may have missed. Sive, I too find that I hear the bees before I see them, sometimes I could be 10 feet away and I hear the hum and follow the sound. Cooler, Cotoneaster and Comfrey are excellent bumblebee plants. I have looked at the Wikipedia page of honey bee plants ( http://en.wikipedia.org/wiki/List_of_honey_plants ) and on the RHS list of pollinator friendly plants ( http://www.rhs.org.uk/science/conservation-biodiversity/wildlife/encourage-wildlife-to-your-garden/plants-for-pollinators ), but I have observed good plants that are not on the RHS list and find that these lists are a mix of excellent and mediocre plants. Also some cultivars are better than others. Kim, last year we realized the clover in our lawn was alive with bees, so we started leaving areas unmown ...at least till the clover had finished flowering. This morning I did the grass-cutting and went out to check the patches of clover first.....not a bee anywhere ! I've no idea why ! Sive, I cut the grass this morning too. It has been very dry here for the last month. Rainfall does contribute to nectar availability. If there is a lot of rain the nectar can become diluted and makes a lot more work for the bees, if it is too dry the plant can finish up early. I think that some plants preform better in dry years and some better in wet years. It can also depend on last year's weather, as in the case of fruit trees where this years fruiting spurs were formed last summer.... So many variables. White clover is a wonderful plant for the bees. I think it is good for the grass too and is so pretty when in flower. you need to read A sting in the Tale by Dave Goulson. Sive, Leaving areas of Clover for the bees in grass is great, Clover is such a good bee plant.. Our grass was not a huge area to start with and it shrinks every year as the continuous planting creeps into it. We have a meadow area and it is a fair job cutting it in autumn. Greengage, that looks like a good read. Bumble bees are so much hardier than honeybees. They are out dawn till dusk, long after the honeybees have gone to bed. Off the top of my head and I need to check this, but when clover first blooms the nectar is too deep in the flower for either the Honey bee or Bumblebee (Not sure which one) it is when it is cut and it flowers the second time it is much more easily accessible. Both bees have different lengths of Tongue and are specific to different plants, but some bumblebees eg the Bombus terrestris have evolve to rob nectar from some plants (Comfrey) and this does not benefit the plant as it is then not pollinated. This is a most fascinating subject to get involved in keep us posted of you findings. Off the top of my head and I need to check this, but when clover first blooms the nectar is too deep in the flower for either the Honey bee or Bumblebee (Not sure which one) it is when it is cut and it flowers the second time it is much more easily accessible. I have heard that is the case for red clover, that honey bees cannot reach the nectar when it blooms first. It is interesting to watch the bumble bees too as some prefer different plants to others, As you say, their tongues are different lengths and plants have adapted for specific species, (or bees have adapted for different plants?). Bombus Hortorum only seems to go on tubular flowers to collect nectar, it has a very long tongue, I expect it can reach the red clover from first flowering. 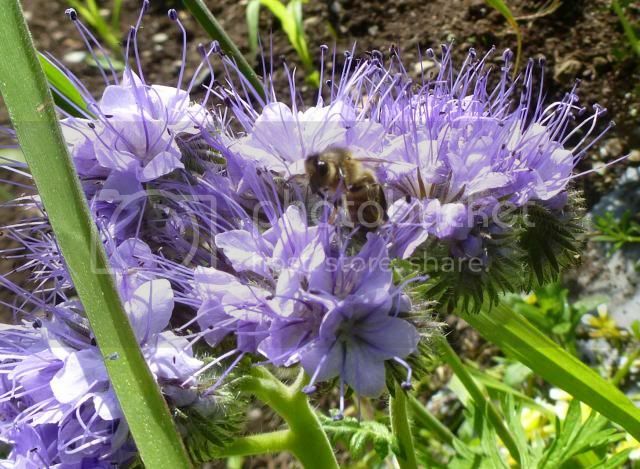 It is Hortorum that is on the echium, which I really had in mind for the honey bees, but the honey bees are not managing it so well. I had Embothrium (Chilean flame tree) flowering in May/June and it was covered in honey bees and bumble bees, I wondered how they were gathering nectar as the flowers are so long and tubular, but there is a slit in the flower and the bees found the slit. Thanks for the information so far folks, I too am looking at my garden everyday, I have noticed lately s drop in the number of bumblebees around, maybe it is actually to do with the lack of rainwater that enables the plants to produce nectar. This year I planted Borage for the first time, the bees are crazy about it, I also have a Hebe with long purple and white flowers, this is performing great at the moment. I have large campanulas, lavender and a Geranium called 'Mrs Kendall Clark' which has large pale blue flowers that was amass with bumbles lately. Here is another excellent site by Marc carlton. which I have visited regularly for information on bee friendly gardening, he has some sound advice and links to other sites in Europe.